Raising money for a film often feels like a Sysyphean task, constantly pushing a boulder up a hill. But as documentaries have become more popular among audiences (both at the cinema and on streaming platforms), nonfiction now appears more commercially viable than in the past. Equity finance, also referred to as hard money (as opposed to grants, which are soft money), has become increasingly a component in many documentaries. But at times, there are hidden perils of finding generous investors, as filmmakers sometimes enter unsuspectingly into Faustian pacts out of sheer desperation. As long as realistic expectations are set, funders can be more than just benefactors, but also team players, mentors and sponsors for future projects. 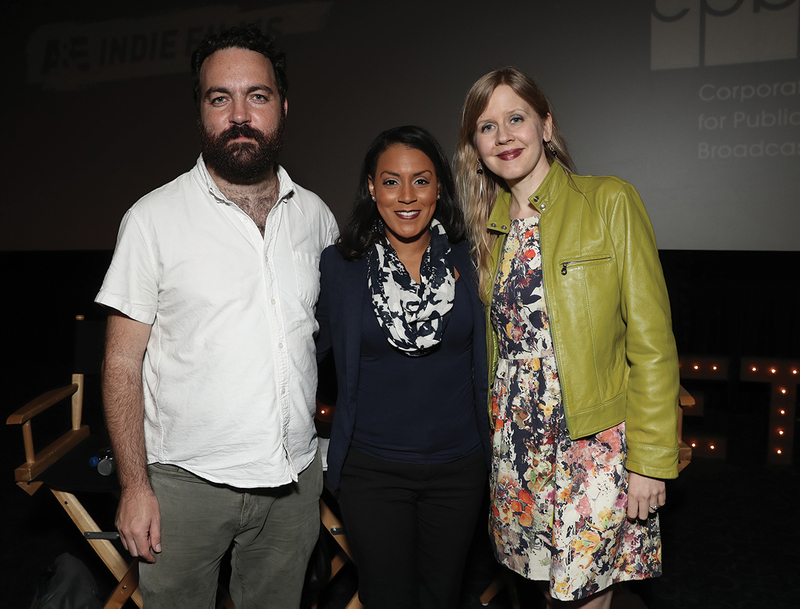 At the Getting Real conference last September, the IDA convened a panel of experts from both the funding and filmmaking fields to discuss candidly the changing landscape of documentary financing. Documentary caught up via phone with the same panelists a month later to delve deeper into the intricacies of equity financing. Their advice is a primer for filmmakers on how to avoid some common pitfalls, dispel any misconceptions about investors, and make the most of the kindness of strangers. Documentary: What is one of the main issues that arise when equity investors become involved in nonfiction? Justine Nagan, Executive Director, American Documentary Inc.; Executive Producer, POV; Executive Producer, America Reframed: Investors are typically very successful individuals who have often made money in other fields and they tend to bring the same set of rules to documentary films, which don’t apply. They seem to think that because there are now billboards for docs on Sunset Boulevard that the genre is more profitable than it really is. Brenda Robinson, Entertainment Attorney and Philanthropist; IDA Board Member; Creative Investor, Sundance Institute Catalyst Forum: I have been both an investor and a grantee, so I’ve had the opportunity to observe the financing process from both sides. It is important to stress that a documentary film should not be viewed mechanically as a revenue-generating vehicle, but as an opportunity to communicate an important message. So it’s important that investors understand that you can’t treat this as something transactional, such as real estate sale, where you have the expectation of turning a profit. Investors should not treat this as a transaction but as an opportunity to support something impactful. D: How do you manage investor expectations, especially if they come from a completely different field, where you can measure success in set parameters for profitability? BR: Remember that for some investors, being in the film business is not their primary area of expertise, so, as a filmmaker, make sure that you break down the deal terms very cleanly and clearly. It is helpful to have entertainment attorneys involved who can review the deal terms on either side, so that all parties have a clear understanding of the structure of their contribution. JN: Hopefully a filmmaker is not working in a vacuum, but has a good attorney or producer that has worked with investors before, that can help with that education. Organizations such as Impact Partners or the Chicago Media Project that frequently work with investors can manage those expectations. Articles and conversations like this help. When I was at Kartemquin, we would consistently work to educate investors about the reality of most documentary films. Hopefully it’s a collective effort and not just a director as he’s negotiating on his own with a new investor, having to carry that weight. BR: Most people invest or support documentaries as an opportunity to support something impactful. But the marketplace is changing, and people are getting increasingly more involved in supporting documentaries. When documentary filmmakers take equity investment, that also means that they are under pressure to recoup such an investment. Every documentary I have been involved with usually had a combination of grants or soft money, as well as equity investment, which helped it get to the finish line. Often both are required these days. Josh Penn, Documentary and Narrative Producer, A Shot in the Dark, Contemporary Color, Beasts of the Southern Wild: I’ve been open to taking equity in most of the projects I’ve done. I can only think of one film that I’ve done where I did not take equity, and it was because it was a non-traditional release and it did not make sense to take investor money because it would have been very complicated to pay it back. You want to make something that recoups the investment and is artful. There are cases of misaligned money. D: What do you mean by misaligned money? JP: I think when key partners in a project have a different vision of what a project should be fundamentally, or different priorities, or different goals. It can lead to a lot of issues down the line. Producers will oftentimes push that under the rug in desperation to get the money, believing that it will get worked out later. But when there are core things like that that get misaligned, it’s setting yourself up to have major disagreements down the line, even when everyone is very nice and civil. Even if priorities are different—say one person is in it to make a bunch of money and the other person is in it to have an impact campaign—when people have different expectations or hopes for something, it can lead to a lot of headaches in the later part of the process. And usually that presents itself in post-production. What takes the most time is when investor relations go sour. When you have to spend a lot of time mediating, the film really suffers. That is a situation that does not foster creativity. D: What advice do you have for filmmakers looking for funding? JP: I think setting real expectations is not always the best sales tactic in the short term, but in the long term, it’s better for the relationship. BR: It is important to explain and discuss cash flow with your investors. Have a frank conversation. Explain your production timeline. Don’t always assume that if you do not hear from an investor that the line is closed. There is nothing wrong with politely following up with your investors to see if they are still interested in supporting a project. Oftentimes, when there are gaps in the communication, it could very well be that the investor forgot about the project, or that they moved on and put money in another non-film-related project. A polite follow-up is OK because the door is not necessarily closed. D: What are investors looking for in exchange for their participation in a film? JP: Understanding what an investor wants from their involvement is the most key thing, because with doc funders there are such a wide variety of goals, from social impact to cultural influence, to learning how to make and produce films, to being a patron of the arts. It varies quite a bit, and often filmmakers don’t know and it’s not inherently built into the process to explicitly ask the question as to what the investor is looking for. Pay attention to the reality of the situation; sometimes people’s stated goals are quite different from their day-to-day desires. D: What is the biggest misconception that filmmakers have about investors? JN: One of the biggest misconceptions that filmmakers can have is that all funders are created equal. Because you had one relationship with one, it will be similar with another. The world of investors is much like any other facet of the industry. People coming to invest in documentary films are motivated by different things and have different interests and goals. Some investors are in it for the art, some want to turn a profit, where the upside is important to them. And those two types of investors are going to handle the transaction very differently. Any time you are dealing with an investor, or a funder, distributor or a sales agent for that matter, every deal is different, every conversation is different, so proceed accordingly. BR: One of the biggest misconceptions that filmmakers have is that they have no leverage when it comes to approaching investors for support. Filmmakers should understand that just as the investors have resources to make something possible, the filmmakers also have an important aspect: a powerful story. This is why most investors and filmmakers should view this less as a transaction and more as a partnership because together they can create something very impactful, by bringing their respective resources to the table. D: What mistakes should filmmakers avoid with regard to funders? BR: Filmmakers should view their relationship with investors or grantors as a partnership, as a long-term relationship, not just as a short-term injection of funds. Try to keep them in your circle, in your network. Don’t just focus on getting your current film finished. Think of your career in the long term. Don’t always look at the investor just as a check-writer. Consider how else they can assist you or your project. View them as a whole person. Use them as a liaison to their larger network. As for me personally, I look at how strategic a filmmaker is in handling investor relations. JN: Talk to other filmmakers that have worked with a given investor, to get a clear sense ahead of time on what they are like to work with, what deal terms they signed that worked out for the project. These relationships typically go on for years, so the more real, trusted information you can have before signing a contract, the better. As a filmmaker, remember you have something of value. You are exhausted, and you need money and resources. Some investors treat films like widgets and commodities. But it’s important to remember that all money comes with strings attached. Sometimes, exhausted filmmakers take very bad terms, because they are so desperate. I’ve seen filmmakers sign terrible deals, because they needed the funds. Sometimes they knew the deal was terrible, but they took it anyway. But other times, it was because they did not have the bandwidth to do the research, or there were other extenuating circumstances. Sometimes the deal terms are a hefty percentage or giving the investor control over distribution. There are times where it makes sense for those deal terms to be in place, but depending on the film, it’s not always appropriate. Be aware that increased equity investments do affect distribution deals, as well as the possibility of raising other funds. D: How would having a deal affect your distribution later down the road? JN: Some filmmakers want the broadest impact possible; they want a robust outreach campaign, such as a public television broadcast. If they sign with an investor that is not aligned with that, the investor could push the filmmakers to take the most lucrative deal, even if that is not in line with the filmmakers’ other goals regarding impact. D: Documentary budgets are very fluid and sometimes budgets balloon. How is equity investment handled? JN: It depends on the deal and also depends on the equity cap of the film. Make sure you calculate equity as a percentage of the total budget, not of the total equity. So if the equity is only $100,000 out of a total budget of $1,000,000, you should divide grantor money from investor money. If the budget subsequently balloons, the equity investment is valued at the existing budget at the time they made the investment. Some investors are the first money in, so it’s riskier money. So even if they give less money, they have more favorable terms. Other investors, even though they have the last money in, expect to get the first money out. It’s a reminder that the more communication you can have, so that there are shared expectations on both sides, will really help it be a positive experience on all sides. D: How do you keep investors engaged? BR: Communicate to investors clearly your passion for the subject matter, the intended impact, your long-term goals for the film, and getting the message out. Make it bigger than just about generating revenue. Keep investors engaged in your project by allowing them to receive updates throughout production, or perhaps spend a day in the editing room, participate in a conference-call update and certainly attend any premiere. JP: Everyone likes to be included, so don’t be afraid to show them a rough cut. A lot of people want to learn, they want to put in money in order to be part of the process. What I hear investors complain about a lot is, there’s a fear of including the investors sometimes. They won’t show investors cuts of the film until they are really confident of it being good, as opposed to sharing something and saying, ‘This is far from being done, but you are part of the team and we want your feedback now. This is not perfect, but if you want to be part of helping us get there, we want your input.’ The fear is that they are going to disappoint the person who put money in by showing something too early, and more often people would rather be part of shaping it, than waiting. And sharing really helps keep relationships good both in the short term and long term. JN: I have friends who are investors, and definitely what motivated them was to learn the process and to get to know the community. I’ve worked with other investors who are really interested in the awards and the shinier aspects of our industry. For most people, it’s a number of things that attracts them to the field. The reality and instability of our market will discourage the kinds of investors who came in because they really thought they could make money and didn’t have a more complex motivation. BR: Many projects that do well raising money also had a social impact campaign attached to the project. Filmmakers should consider what their long-term goals for the project are beyond the initial screening. Keep in mind what you hope to do with the film. Start engaging people during the making of the film. Make plans while in production as to how to keep your project alive and give it an extended life once it’s completed. D: What other issues have arisen from increased equity partners? JP: It is very important for the credits to be transparent and reflect work done on the production. Otherwise, if investors can often get a credit by just writing a check, it makes it difficult when as a producer you go out and get a job, and people don’t know if you actually worked on it or just put the money in. So filmmakers should follow the Documentary Producer’s Alliance guidelines for recommended financing credit tiers. Producer, Co-Producer and Supervising Producer credits should not be bought. But there are a lot of credits for sale, such as Executive Producer, Co-Executive Producer, Contributing Producer, or ‘this movie would not be made without the support of…’That’s a decent number of credits to represent different levels of engagement. If you include company credits, there are even more. D: How do filmmakers find investors in the first place? JP: I’ve been doing this for ten years, and it gets easier the longer I’ve been doing it because anything I make opens up new doors. But I do think it’s really challenging early in your career to find people who have money and want to put it into movies. Even ten years in it can be a mysterious process, where you’re searching for new people, who are interested in your subject matter, who have funded like-minded documentaries in the past. You could be making a movie about the health-care industry and somebody could have a family foundation based around improving the health-care industry, and they could not be interested in any other films, but yours has the exact subject that they are committed to, where you hit the bullseye. BR: A lot of the films that have been presented to me or other investors have gone through labs like Sundance or Chicken & Egg. Financiers sometimes find new projects by attending film festivals or other similar gatherings. I attend these festivals to learn what new projects are out there and also to make myself accessible. In my experience, I have found that this is an industry of slammed doors, and my objective is to try to open doors where I can. A lot of filmmakers put in a lot of sacrifice to get to the finish line. Once you lock that first set of angel investors, it is good to try to keep them on board, as you continue to develop future projects. That is a good long-term strategy. JN: I am hoping we will continue to grow the field of investors who understand the full picture, and who really have the artists’ best interests at heart. And that the terms they are putting forth are reflective of the larger ecosystem. We are such an under-resourced field that we really need new money to come in. But it’s on all of us to do that kind of education, and have these conversations so that we can evolve together. Darianna Cardilli is a Los Angeles-based documentary filmmaker and editor. Her work has aired on Bravo, A&E, AMC and The History Channel. She has recently completed editing the documentary feature 8 Billion Angels.